After "Where do you get your protein from? ", one of the most common questions asked of vegans is "What about chocolate? Is chocolate vegan?" If you are somewhat of a smart talker, one simple response to this is, "Sure! Chocolate comes from beans!" Which is of course, true. Chocolate comes from the pod of the cocoa tree, making it, of course, vegan. But then the omnivorous questioner will likely just give you a confused and blank stare, as this is clearly not the answer they expected. Having got your sarcasm out of the way, you'll probably want to manage to come up with a serious response. Chocolate itself comes from a plant, making it vegan, yes, but in the process of going from the tree to the grocery store, a variety of additives are added, including sugar and milk or milk fat. A good quality chocolate, however, will have a higher chocolate content, pure ingredients, and no additives. The ingredients will be simple: cocoa, cocoa butter, sugar, and occasionally lecithin, and sometimes vanilla. And that's it. 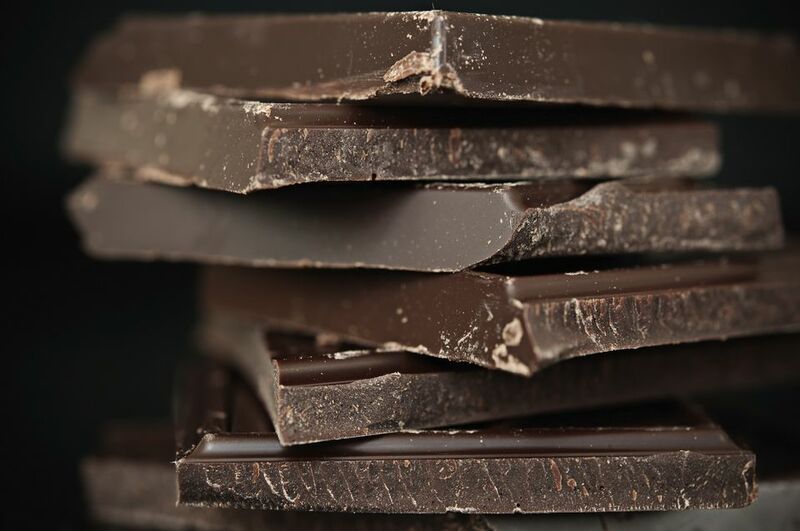 A high-quality chocolate actually has quite a few nutritional benefits, believe it or not. Lesser quality chocolates have a long ingredients list, which, along with cheap fillers such as food starch and artificial flavorings, will often contain milk, milk solids, or milk fat. So while most chocolate is not vegan simply due to the additives, the good news is that there are plenty of vegan chocolate options available. Anything labeled "milk chocolate" usually does, in fact, contain milk and is therefore not vegan, but many chocolates labeled "dark chocolate" also contain milk, particularly lower quality and cheaper brands. A few producers have also started making "milk" chocolates from non-dairy milk substitutes such as almond milk or rice milk. Whole Foods and other specialty grocers should carry a few of these. If you're looking for vegan chocolate, there are a few brands of chocolate that are dairy-free, whey-free, and casein-free. You can find these chocolates just about anywhere, including at your regular grocery store. These are what we'll call "accidentally vegan", that is, they aren't marketed as vegan or labeled as such, but they contain no animal ingredients and are vegan because they are high-quality chocolate with no additives or fillers. You may also want to seek out a local chocolatier, as they will likely have many vegan options available. If I'm vegan, can I drink beer and wine?